The following account of a child’s remembrance of details from a previous lifetime is interesting in that it dates from nearly 100 years ago, when such things were still very rare and generally received with much scepticism and ridicule. Although today there are literally thousands of well documented, thoroughly investigated, and proven descriptions of people’s past lives – see the reincarnation research of the late Dr Ian Stevenson for a start – this particular account is of interest because of its curious nature and content. 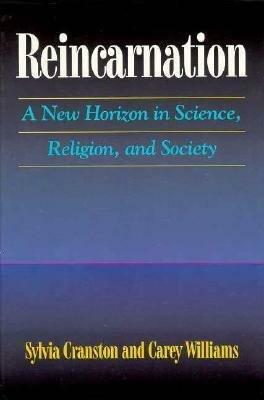 Everything that follows is excerpted from Chapter 5 (“Cases of the Reincarnation Type from around the world”) of the excellent and highly regarded book “Reincarnation – A New Horizon in Science, Religion, and Society” by Sylvia Cranston and Carey Williams. The account that follows received first prize in a national contest titled “The Most Extraordinary Coincidence I Know Of.” It was conducted by The American Magazine, and the winning story appeared in the July 1915 issue. Whether it was merely a coincidence or something more, the reader can judge. The contributor, a woman in Minneapolis, provided this introduction. “Anne, my little half-sister, younger by fifteen years, was a queer little mite from the beginning. She did not even look like any member of the family we ever heard of, for she was dark almost to swarthiness, while the rest of us all were fair, showing our Scotch-Irish ancestry unmistakably. “As soon as she could talk in connected sentences, she would tell herself fairy stories, and just for the fun of the thing I would take down her murmurings with my pencil in my old diary. She was my especial charge – my mother being a very busy woman – and I was very proud of her. These weavings of fancy were never of the usual type that children’s fairy tales take; for, in addition to the childish imagination, there were bits of knowledge in them that a baby could not possibly have absorbed in any sort of way. “So many were the small incidents of her ‘habits’ of speech and thought and her tricks of manner and memory that finally we ceased to think anything about them, and she herself was quite unconscious that she was in any way different from other children. “One day when she was four years old she became very indignant with Father about some matter and, as she sat curled up on the floor in front of us, announced her intention of going away forever. “ ‘Back to heaven where you came from?’ inquired Father with mock seriousness. She shook her head. “This planned to be a fairy tale, so I got my pencil and diary. “She was so serene in her announcement that my father laughed heartily, which enraged the child, for she particularly disliked being ridiculed in any way. “ ‘And what did you do for a living, Lishus Faber, in those early days?’ My father then treated her with the mock solemnity befitting her assurance and quieting her nervous little body. “That was all that is recorded there. Over and over again, I remember, we tried to get her to explain what she meant by the odd phrase, but she only repeated her words and grew indignant with us for not understanding. Her imagination stopped at explanations. We were living in a cultured community, but although I repeated the story to inquire about the phrase – as one does tell stories of beloved children – no one could do more than conjecture its meaning. The part where the child states that humanity once lived on the moon may sound fantastic, but theosophists might find it corroborative of their views that the moon was once a living planet and our former home. Interesting that it is now known that the moon rocks brought back by astronauts are older than any found today on earth. If you liked this, you may also like to read A Right Understanding of Reincarnation, Death and the Afterlife, Questions about Karma, The Skandhas, Video Evidence of Reincarnation, and Being Sensible about Past Lives, to explore and understand more about the mysteries of death, dying, and the cyclic rebirth of the soul. This is amazing. Ive always looked at the moon as if it were apart of who I am.